Alan Walden Jr. looked to his dad for insight into how the 2011 draft might go, according to The Chattanooga Times Free Press. The younger Walden, a pitcher at Tennessee, had worked out with the Nationals and Royals, The Times Free Press wrote. "But then Dad (Alan Sr.) thought the Pirates were going to draft him," Walden Jr. told The Times Free Press, "because they had talked with him the most, and he wound up getting picked by the Indians and he'd never talked to them." For the younger Walden, the 2011 draft ended in disappointment. He wasn't taken at all. 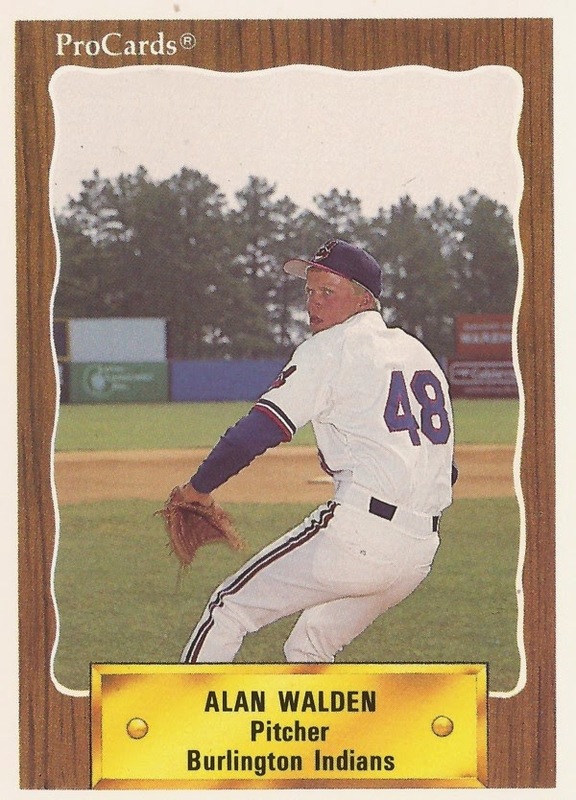 For the older Alan Walden, who was drafted, that selection led to a four-season pro career. He never made AA. Alan Walden Sr.'s career began in 1989, taken by the Indians in the 29th round of the draft out of Cleveland State Community College. With the Indians, Walden started in the rookie Gulf Coast League. He went 4-2 over 11 outings, 10 starts. He had a 3.79 ERA. He moved to rookie Burlington for 1990. In 15 starts, he went 5-6, with a 2.89 ERA. Walden split 1991 between single-A Columbus and short-season Watertown. Between them, he went just 3-11, with a 5.45 ERA. Walden's final season came in 1992 back at Columbus. Working exclusively as a reliever, Walden picked up four wins and two saves in 40 outings, ending his career.